Shadows for Silence in the Forest of Hell is a novella set in the Cosmere. Who names their daughter Silence, and what does it imply? Perfect State sets God-Emperor Kairominas on a date. Good for fans, but too short for full price. What if the first Matrix had worked? The number-one New York Times best-selling author returns to the world of Mistborn with the follow-up to Shadows of Self. 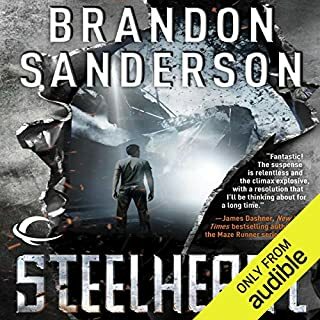 With The Alloy of Law and Shadows of Self, Brandon Sanderson surprised his audience with a New York Times best-selling spin-off of his Mistborn books, set after the action of the trilogy, in a period corresponding to late 19th-century America. Now, with The Bands of Mourning, Sanderson continues the story. The Bands of Mourning are the mythical metalminds owned by the Lord Ruler, said to grant anyone who wears them the powers that the Lord Ruler had at his command. Hardly anyone thinks they really exist. A kandra researcher has returned to Elendel with images that seem to depict the Bands as well as writings in a language that no one can read. Waxillium Ladrian is recruited to travel south to the city of New Seran to investigate. Along the way he discovers hints that point to the true goals of his uncle Edwarn and the shadowy organization known as The Set. Wax and Wayne are Back!!! This is the sixth book in the “Mistborn,” series and third with Wax and his side kick Wayne. It is still set in the early industrial city of Ladrian, three hundred years after the end of the first trilogy. The same magic systems of Allomancy and Feruchemy are still prevalent and through the story we learn more about the forbidden art of “Hemalurgy. 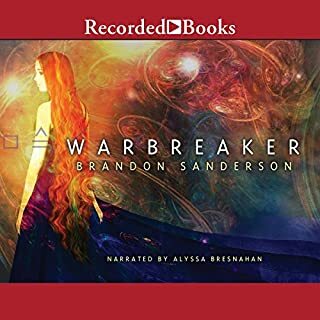 I believe this is a great addition to the Mistborn series, the story flows with more of the action that was prevalent in the first three books. Sanderson fills in some gaps that had been left from the other story lines and I really like the development of Steris and Marasi. We also learn more about the southern lands that had only been briefly mentioned before. I thought this was the end of the double trilogy but Sanderson leaves the door open for more adventures for Wax and Wayne; yes please..
About the narrator; Michael Kramer has always given a fantastic performance, this series would not have the same dynamic impact without him. 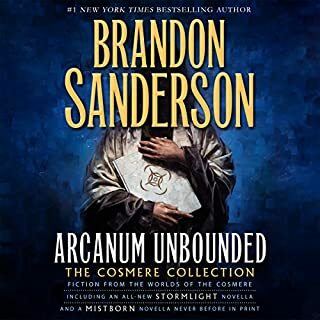 With Sanderson's words and Kramer's voice, I fell comfortably back into the Cosmere, with this book. Several times I found myself being drawn back into the first 3 Mistborn books, with more than one "AHH" and "AHA!" moments. A lot of secrets, holes, and loose ends seem to start to pull together in this, the next to last, book. My re-acquaintance with the characters was spontaneous and by the end of the book, my knowledge of the world Sanderson is building is several layers stronger. From beginning to end, my presumptions and predictions were proven wrong, with a twist here or a lurch there. I simply could not stop listening to this book. By the last couple of chapters, I was literally listening with a clenched fist, at my chest, and by the end, I was left with my mouth hanging open. My anticipation for the next Mistborn novel is almost too much to bear. Brandon Sanderson will be the death of me. This is the third installment of Mistborn Era 2, glad to hear there is another "The Lost Metal" being written in this new Era. Have grown to like these characters, as I did with the first Mistborn. Steris, has to be the most evolving of them all, as I didn't like her at all two books ago. Wax is on a mission to stop Suit and free his captive sister. He enlists his companions, Wayne, Marasi, and Mielon, but Steris shows she can also be valuable to the cause. A strange discovery brings about a whole new set of problems for the lawmen, as the Suit's band of outlaws seem to be one step ahead of everyone else in discovering new technology, but they plan to use it to rule the world. This new technology will have a dire consequence for mankind though, when it's secrets are figured out. Each book of the Mistborn Era 2 series continues to peel back the onion and escalate the stakes of the story to a whole new level. Wax finds himself once again helping the kandra as he heads south to look for the Bands of Mourning, which are the mythical metalminds owned by the Lord Ruler himself. It is rumored that the bands grant anyone who wears them the powers of the Lord Ruler himself. Uncle Edwarn and The Set are also after the bands so the race is on to find them - if they do exist. This book continues to do a good job of adding the technological advances of a more modern world on top of the existing magical systems of Allomancy, Feruchamy, and Hemalurgy. 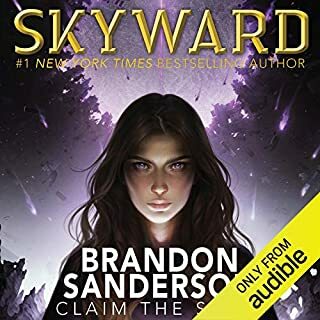 I had my doubts about it when it started but Sanderson masterfully makes it work and Michael Kramer continues to deliver excellent narration. The series does not end here and seems to be building towards a battle of the gods in the final book of Era 2, The Lost Metal. 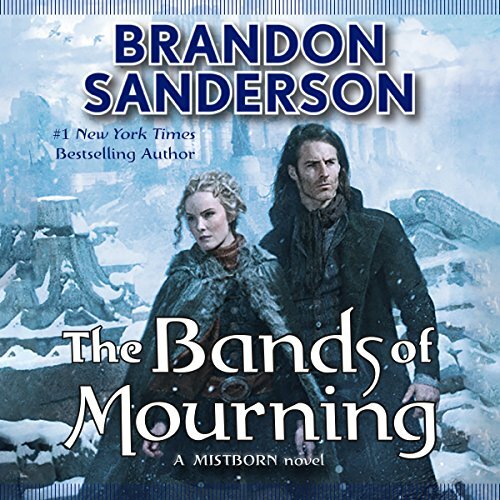 Like all Brandon Sanderson books, Bands of Mourning is really really well written and extremely entertaining. All the favorites, are back with all the action, mystery and mishaps. I have read loads of books by this particular author and I have to say that in my opinion, Steris is one of the most interesting, quirky and clever characters he has written. I had quite a few lol moments reading her antics. Enjoy you won't be disappointed. Best One of the Three! Where does The Bands of Mourning rank among all the audiobooks you’ve listened to so far? 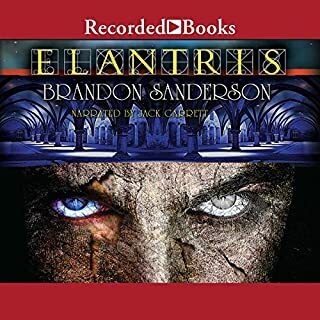 I love to read and listen to any Brandon Sanderson book, but this one was done in about 24 hours. 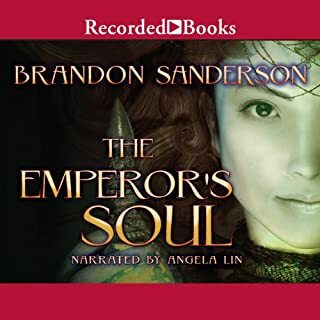 I always enjoy the Story by Brandon and the Narration by Michael Kramer. There are so many things that come full circle in this book, and a few more questions that get you excited for the next installment. If you haven't read Brandon Sanderson yet, you don't know what you are missing. Wayne, as always. He is funny and a phenomenal sidekick. Yes, Michael is one of my favorite Narrators. Yes, but I am not going to give away any spoilers. Brandon Sanderson is the Bomb! Brandon Sanderson is a Master! Brandon Sanderson is truly one of the most gifted authors alive today. He has provided me countless hours of entertainment. I was very excited about The Bands of Mourning... and rightfully so. It was fantastic... great concepts, action, humor and overall writing. Occasionally I did feel like he was trying a little too hard to make Wayne kooky, but he still did get some laughs out of me. He has a very interesting outlook on life. Overall and as expected, this was a great listen. I'm anxious to hear about the next time period of Mistborn. Action! Comedy! Fun! Sanderson At His Best! There is so much to love in this book! I was hooked from the beginning and was up all night! What stands out above all for myself, is the characters Wayne and Steris. They are so weird, and unique, and their characters are brought to life so well in this book! Their quirky banter had me in stitches! From the beginning, I found myself identifying with all the characters and cheering them on as they evolve and grow! Sanderson has always had amazing magic systems and world building, but this book brings his characterization to new heights. If you liked the first two, you will LOVE this one. Go get it now! If you are new to the series, read from the beginning! Michael Kramer, you had me laughing so hard, great job! You can never predict what Brandon Sanderson will write in his books, no one can. This book was absolutely amazing. all the characters are interesting and getting more interesting, the story is getting more wow!! and plenty of secrets. If you think this book will be similar to the previous two, then you are mistaken. I was very happy when I couldn't predict a thing in this book (only 1 thing i did predict) . Really good addition to the mist born series, in more ways than one. Sadly, we have to wait for a while for the ending of this trilogy, but it will be worth it. Cowboys gone superhero/supervillain in an alternate world. . This fits well in fantasy fiction that crosses over the young adult/adult line. It was an easy read, with some interesting philosophies that were palatable and not too intense.